2015 Following the scorching Summer, freshness in the wines! It’s said that one year follows another and each is different! And yet 2015 soon reminded us of the good memories of 2003 or 2009…The Spring was very mild, which helped a perfect, early blooming. The grape harvests are going to be early. Since the 40 mm of rainfall on 1 May, there have only been a very few showers in the Mâcon region right up till harvesting (a total of 25 mm for the south, up to 60 mm in the north). The temperatures soared in late June, hardly dropping below 30°C until mid August. The many days over 40°C in the shade dried or scorched the vegetation. Yet our vines resisted this drought, their roots going deep into the living soil, right down to the coolness of the clays and the water that fell during the Winter. Harvesting began early on 27 August, finishing on 7 September. In this way, we were able to maintain good freshness in all our wines, along with a unique expression of the terroirs. Cheers! 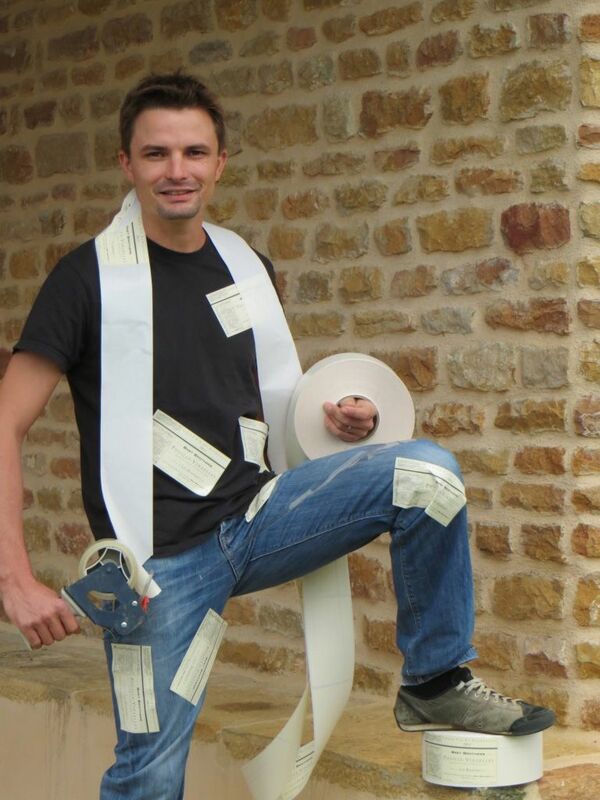 2014 A great Burgundy vintage! Following two very difficult vintages in 2012 and 2013, in 2014 we were a little more at ease among the vines. The Spring was fairly dry and the flowering at the beginning of June went well. We were afraid of mildew following the heavy rain in July, but it didn’t happen. So the cool Summer made it possible to produce very healthy, acid-rich grapes, promising balance and “drinkability”. We decided to start picking on 7 September in the Vinzelles sector, then we finished in the northern Mâcon region on the 17th. The grapes were magnificent! 2014 is certainly another great vintage for lovers of Burgundy, with fruit and tension. Undoubtedly a vintage for keeping, but for many of our cuvées it is also a pleasure right away. Cheers! and finished on October 10. The grapes were beautiful, small (with lots of millerandage) and concentrated. The 2013 wines are magnificent, with tension, and fruit. Another vintage that proved difficult in the vines but magical in the bottle! We dedicate this vintage to Marc-Antoine. In 2012, the weather was particularly capricious. The Spring and start of Summer were very wet. Blooming went relatively well in the early sectors like Vinzelles, but with greater difficulty in the later sectors. This excessive moisture meant we had to spend even more time and be even more meticulous in the vineyards. As a little aside, we stripped leaves around the grapes by hand on all the plots on the north and south face of La Soufrandière, for fear of oidium (powdery mildew). This was the first time since 2000… A winning result: the grapes were magnificent, golden and healthy in La Soufrandière. The BRET BROTHERS grape were also very fine, often millerandé and small. The grape harvesting, generally in sunshine, started on 15 September and ended on 2 October. The ripeness/acidity balances are perfect. This is found in the 2012 wines, which have plenty of body, fruit, noble bitter, and lastly good acidic length. Another “wine-grower’s vintage”! As in 2007, spring was particularly hot and early to arrive. The first flowering occurred on May 6 in “Les Quarts”...flowering finished by mid-May, setting a potential harvest date of late August! In early June, we were surprised by the shape and the size of the future bunches. They were very loose. The old vines had some shot berries, but none of the parcels showed signs of vineyard disease. Very dry weather during the three months of spring preceded particularly rainy weather in July and early August. The grapes swelled rapidly and the bunches that seemed thin at the end of June filled out. As we had predicted, we began harvesting very early, at the end of August! It was the 3rd time in less than ten years!!! “And you thought Global Warming was made up by environmentalists?” Who still believes that story? The harvest, thus, stretched from August 29 to September 16, due to large differences in ripeness levels, especially between Vinzelles and Vergisson. We feared a lack of acidity, but there was no such lack in the end. 2011 is an excellent vintage: with fruit, great definition for each individual terroir, and beautiful balance between ripeness and acidity. Cheers!! 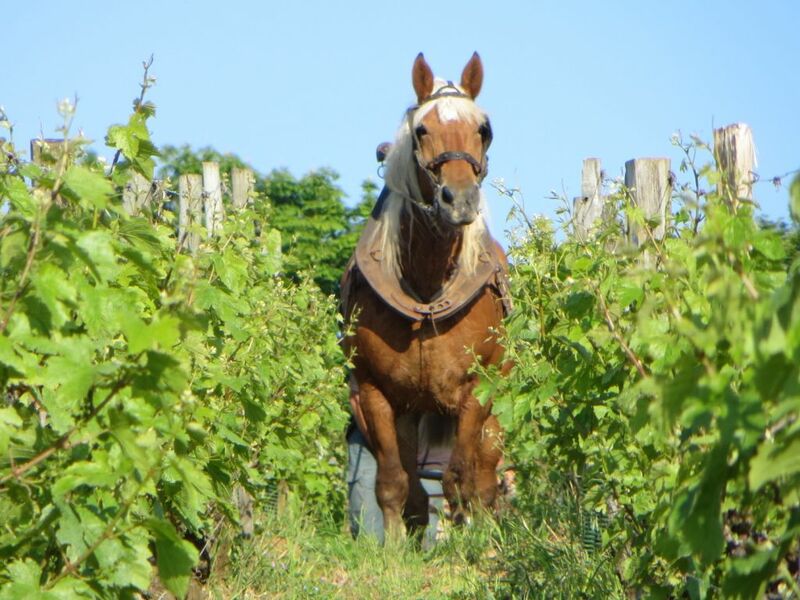 Rain in Spring, devastation at times in Summer, Salvation in Autumn… 2010 was clearly a difficult vintage for us vignerons, and also very variable from one village to another in the Mâconnais. Let us focus on Vinzelles. After a reasonably cold winter, April had two unusually hot weeks. Then May was very wet. Flowering took place with the water in excess a real problem for fecundation. Then came June with its exaggerated almost tropical rainfall on our coteaux. How frightful and sickening it was to see the ground we had passionately ploughed five days before slide as far as five metres below! cheer up! And shovel it all up again! Now July came hitting the remaining berries after a poor flowering season. Hail affected several villages with unequal strength: Leynes, Chaintré, Vinzelles, Loché. On Leynes not a single grape survived when half the crop was saved in Vinzelles. As the old saying goes, muttered by the aged vigneron whose hands could be used to grate a piece of (organic) Comté cheese : « once hit by a storm, hit for the rest of the year », so three more hailstorms, although less violent than on July 10th, came to hit more berries. Altogether July was hot and rainy, early August was wet and fresh to be followed by a dry and sunny end of August/September. Harvest at la Soufrandière and Bret Brothers took place from September 18th to 29th. The crop is naturally very small (less than 20 hl/ha) but quality is reassuringly high. An exceptional vintage, rather reminiscent of 2008. 2009 Rich, fruity and seductive. To be enjoyed without delay ! Here is a rough summary of the conditions prevailing in 2009 since the end of winter up to picking time. After a winter with some snow, debudding in April and early flowering in late May took place positively. Some stormy rain in a hot summer in July, very hot in August. Three weeks of sultry heat made the year an even earlier one. Picking had been planned for mid-September, we eventually started on September 2nd ! the grapes then were nice, ripe and perfectly healthy. Altogether « easy vendanges ». The heat in August brought very rich sweet juices with rather low acidity. But thanks to the work in the vines, the wines of 2009 show some freshness. A ripe vintage, a vintage of pleasure. Simply enjoy 2009…before you drink the 2008s. The newspapers do not describe 2008 as a great vintage in Burgundy. Yet white wines are superb. 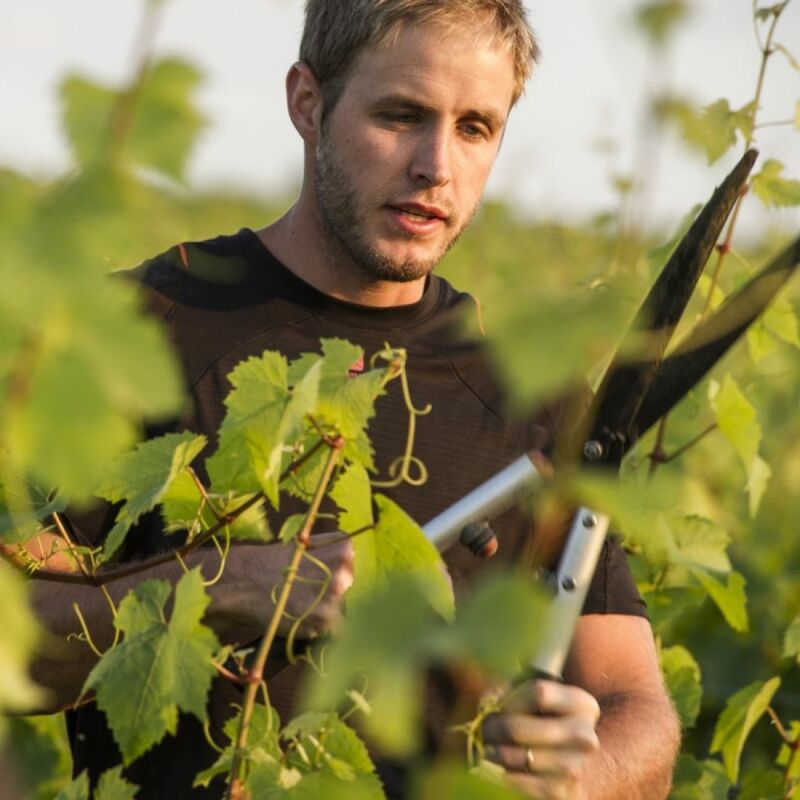 In our young wine growers’ life, it may well be the best vintage we have vinified so far. Back to context. After a relatively mild winter, the months of May and June were particularly rainy. Soils were soaked to the point getting to the vines for treatment was difficult, even with a light-weight caterpillar tractor. 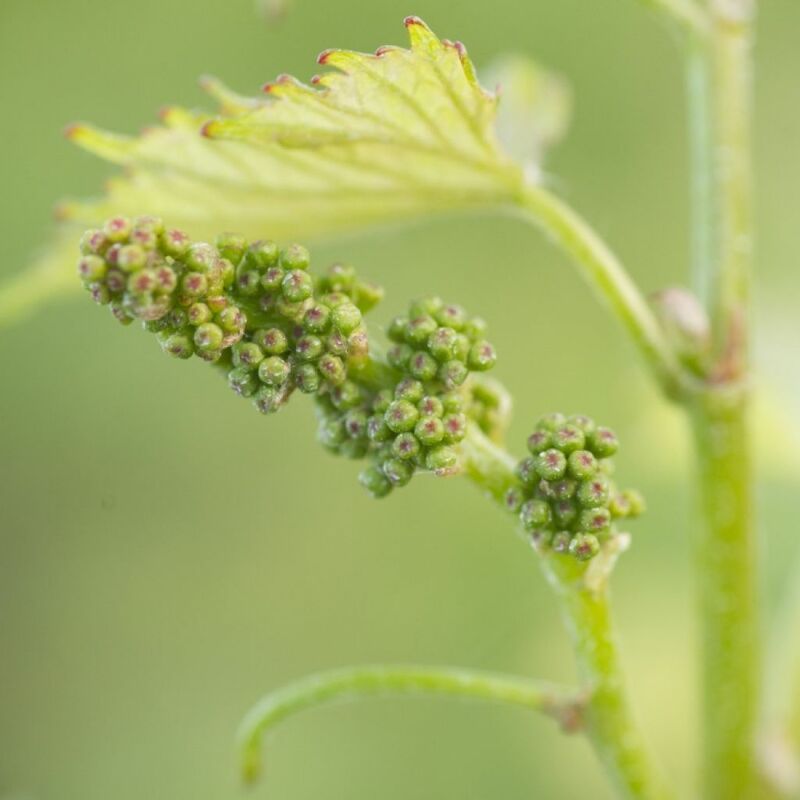 Mildew is, of course, the risk most generally dreaded by wine growers and that eventually affects inflorescence more or less deeply. Our vines « resist ». We reached the end of July tired but happy to have kept magnificent healthy grapes. The vines were beautiful. Shhhhhhh, Bawwwwww ! yes it was a wall of hail that one could hear coming from the west as a terrible storm hit on August 7th. The deluge of ice resounded like the din of an infuriated ocean. The work of 10 minutes : 35 to 50% of our Vinzelles grapes were destroyed and up to 90% on our vines at Leynes (less than 2 miles further south). The berries were hit by impacts but the leafs were just partially injured which allowed the grapes to finish their maturation. After such a rainy spring and summer, September was dry and sunny. We started picking on September 26th and finished on October 7th. The vines at la Soufrandière endured belated maturity because of the traumatic hail storm and the grapes were, therefore, late picked on October 4th and 5th. This, again, was a vintage salvaged by three consecutive weeks with North wind. The wines are simply Great, well-balanced, loaded with personnality : minerality, fruit, length, acidity : they have it all. 2007 Tension, fruit. « As subtle as Air » !! What a year, again ! Spring was particularly mild, even warm. The highest temperatures (29-30°C) were seen in April, not in July or August. Bud-break and growth occured very early. To give an example, fully spread leaves are usually seen early May, but were already there this year on April 10th ! Flowering was very early too from mid to late May (as opposed to June 10th in a normal year) and this heralded very early days for the harvest to come ! Were we to re-live the 2003 vintage and its start of picking in mid-August ??? Summer turned out to be particularly cool, grey and dull in August. The vines remained superb with healthy small berries ; but what if they failed to mature ? Fortunately high pressure reappeared on August 20th all over Burgundy bringing with it some northbound wind (« la Bise ») and sunshine too for nine uninterrupted days. Temperature rose. The vintage was safe. We started picking on september 5th and ended on 16th. The very next day hail hit Vinzelles ! The 2007 vintage is particularly « particularly subtle as air », bearing fruit and minerality. 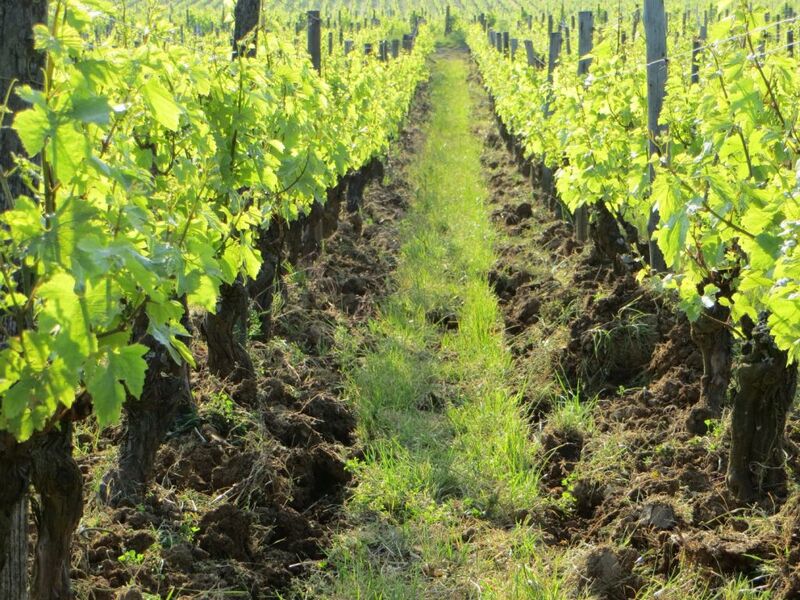 Terroirs are well defined, delineated. A racy vintage to be kept until it finally delivers itself.